Surrey County Council will continue to accept basic DIY waste at recycling centres as it introduces a scheme that will cut costs for taxpayers. Many councils in the region are bringing in charges for construction waste such as rubble and cement but will not allow any free allowance, whereas Surrey will still let residents drop off one bag a day of this without charge. All household waste will still be free to dispose of at the centres but the council is bringing in charging for major construction work to prevent Surrey’s taxpayers footing the bill. A number of councils already charge for construction waste or do not allow it to be dropped off. In the last three years alone, the amount of construction waste being dropped off at Surrey recycling centres has grown nearly a third leaving taxpayers with an annual disposal bill of nearly £1 million. The charges are focused on construction waste such as rubble and cement – full details are on the council’s website. Mike Goodman, Surrey County Council’s Cabinet Member for Environment and Planning, said: “We have to reduce our spending across council departments because of rising demand for services such as adult social care, but most people using our recycling centres will not be affected. “Those doing basic DIY will still be able to use our community recycling centres for free – the charges will only affect residents doing more significant construction work. “The charges are part of a package which will save the council – and therefore the Surrey taxpayer – £1.8 million-a-year and will enable us to keep accepting construction waste and maintain a full network of recycling centres. 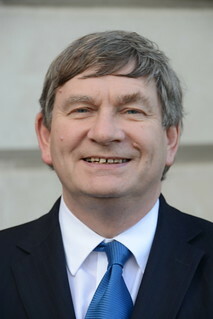 Mr Goodman (pictured) added: “Some people are concerned there will be a big increase in fly-tipping as a result of our changes but I believe those fears are misplaced.